Just about a year ago, insufficient sleep was declared a national epidemic by the CDC. Lack of enough sleep is one of those occurrences that everyone acknowledges to be a problem. Unfortunately, due to it being so common, many people see it as less of an issue than it really is. For many people, this lack of sleep is the product of insomnia. The numbers are startling, with some surveys showing that about 68% of Americans struggle to fall asleep at least once a week. Many people suffering from insomnia and problems falling asleep try to fix it by taking a pill for it. If you fall in this group or have considered using over-counter sleep meds, it’s imperative to understand some of the problems and possible effects of what you may be putting into your body. As I used to take these sleep aids pretty regularly, I took an interest in uncovering the real deal behind the active chemicals in these drugs. Having an extensive background in chemistry, I figured I’d be able to make sense of how these ingredients interact with the body. Indeed, after much research, I compiled a list of a few interesting effects to watch out for when using these sleep aids. Check it out below. The U.S. has a history of discovering useful medical drugs, quickly researching their safety implications, and hastily shelving them out to consumers. Oftentimes it’s not until years later, when users begin noticing side effects and filing complaints, that the company realizes that not enough long-term research was conducted on the medicine in the first place. All of a sudden, what seemed to be all but a panacea turns out to be poison in a can. Picture of morphine, coke, and trans fat. Some examples: The original cocal cola formula had actually cocaine in it, hence the energizing feeling. Heroin used to be prescribed to people suffering during the war, and look how bad we see it is now. Trans fat was discovered a fewyears ago as a “miracle fat”, and now its about as bad of a thing your food can have. Trans fats, morphine, and the original Coca-Cola recipe are all great examples of how what seems like a great idea at that time actually turns out to be very dangerous. For products that address a high demand need, their biggest strength tends to also be their greatest weakness. The same economic driving force that pushes it to the shelves contributes to the danger of selling something that is not ready to be sold. In fact, some over the counter sleep meds have already faced this issue. Research on Diphenhydramine HCL, the active ingredient in Benadryl and Unisom Sleepmelts (among others), has been linked to an increased risk of dementia later in life. Additionally, according to the study published JAMA Internal Medicine, higher doses and frequency of use corresponded to a higher probability of developing dementia. We’ve all had trouble falling asleep at one point or another. I’ve had my fair share of situations where, even after laying in bed for an hour, I can’t catch a minute of sleep. There are few more frustrating moments than laying in bed and realizing that insomnia is all that stands between getting good sleep and performing well during a big day the next morning. In such situations, taking an over-counter sleep aid is understandable and may actually be the best course of action. The problem arises when the sleep aids are taken every single night. Taking sleep aid pills on a regular basis can detract you from addressing any possible underlying sleep issues. For many people, OTC sleep aids provide a temporary solution to a problem that may otherwise require a more specific long-term solution. Without a doubt, it’s more effective and healthier to address the sleep disorders wreaking havoc in your sleep by going to the root of the problem. Whether the problem is insomnia, restless leg syndrome, sleep apnea or another sleep disorder, it can be treated without the need for OTC sleep aids. Related: Check out some of the most common sleep disorders in adults. Over-counter sleep medicine comes with a long list of known side effects. I’m looking at you melatonin. We know that melatonin is a chemical produced by the human body; its purpose being to regulate the body’s internal sleep clock. This internal sleep clock, or circadian rhythms as it’s often called, is key to helping you fall asleep at the right time. Not to mention, within a reasonable amount of time. For example, if you’ve been going to bed for two weeks straight around 2:00 am, it’ll be pretty difficult to hit the sack at 10:00 pm one day and fall asleep right away. This is because your body’s internal sleep clock is not accustomed to entering sleep mode at that time, and so the biological process that must occur for you to fall asleep occur at a much slower rate. That being said, most doctors agree that melatonin should NOT be used for the purpose that most people use it for nowadays: as a treatment for general insomnia. Now, I know what you may be thinking: melatonin is already produced by the body, so how bad could it be? This is a very valid question. The truth is that consuming supplements that are already produced by the body tends to come with its own drawbacks. One reason is because doing so tends to decrease the amount normally produced by your body produces. In other words, your body decides to do less work and produce less of the chemical after noticing that it can rely on the external dosage. Another issue is that the dosage of melatonin taken to produce its effects is much higher than the amount produced by the body. Although a melatonin overdose may not be very likely, taking such high doses increases the workload of the liver and kidneys and can cause other problems over time. The big problem here is that sleep aids like melatonin and tryptophan are considered dietary supplements, meaning that they face a set of less strict regulations from the FDA. For example, according to the FDA website “Federal law does not require dietary supplements to be proven safe to FDA’s satisfaction before they are marketed”. This places lower pressure on safety standards of companies manufacturing these sleep aids, possibly to our own detriment. In addition to this, the companies producing these sleep supplements are not required to get permission from the FDA before producing or selling these products. So what exactly does the FDA do to protect consumers from the possible harmful effects of dietary supplements? 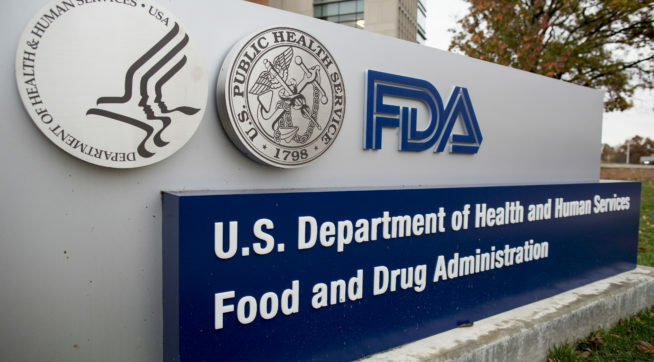 Generally, the role of the FDA starts after the product has entered the marketplace. They act against halt companies manufacturing products that may pose a significant risk of illness of harm to the public. They are also responsible for a number of safety monitoring activities such as packaging misbranding and correct labeling presentation. Some might argue that regulatory agencies should be doing more to protect consumers from possible harm coming from these dietary supplements. This is another reason to be watchful and aware of the amount and kinds of these sleep supplements consumed. Purchasing over the counter sleep aids should be done with discretion. Some sleep supplements can be especially vulnerable to manufacturing negligence, especially if produced outside of the U.S. In such cases, the likelihood of unwanted chemicals or bacteria getting caught up in the final product can be higher. 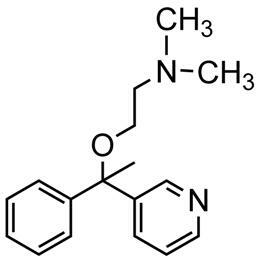 Tryptophan, an amino acid involved in sleep metabolic reaction, is commonly consumed through cod or turkey. In fact, this has happened rather recently. In the early 90’s, L-Tryptophan was recalled across the U.S after more than a thousand consumers tested positive for a neurological condition called eosinophilia-myalgia syndrome. This incurable and sometimes fatal disease produces severe muscle pain, nerve damage, and skin color changes. However, after more research was conducted into the situation, the sickness was traced back to a Japanese chemical company called Showa Denko Inc. The condition was a result of cutting corners in the tryptophan manufacturing process coupled with a new batch process that incorporated newly introduced genetically engineered bacteria. Because chemical manufacturing regulations differ across countries, it’s imperative to be aware of where your supplement is being manufactured. Now that we’ve gone over the biggest drawbacks of over-counter sleep aids and supplements, I’d like to point out that I’m not completely against these products. In fact, I encourage them. But… only in certain emergency situations. If you’re taking the MCAT tomorrow and cannot fall asleep no matter what, then sure, pop in some one of these sleep aids. Good sleep is pretty important, but in moments like that, it’s worth more than gold. Related: Ten easy ways to sleep better and faster tonight! If you know someone that takes OTC sleep aids on a regular basis and would like to share this article with them, click on the share button on the screen. As always, feel free to comment below if you have any questions about anything related to the topic. Next: Next post: The Ultimate Alert Gum Review: Don’t Try Any Caffeine Gum Before Reading This!